1. You expect a lot of personalized or customized experience in almost every tech product you use. But as you can’t code, most of the cases, you can’t do the customization by yourself. 2. By exploring new tech tools or products every day, you keep getting cool ideas that could be a very good solution to solve some specific problem. Again, as you are not a coder, you can’t just do it yourself. No Code Tools Are a Blessing! Yes, we, the people like that, we cherish tools like IFTTT or Zapier, to solve some of those barriers. Well, it’s just not enough, not always! I kept ignoring those ideas just because I couldn’t make it by myself! Yes, I believe that’s what happens with most of the no-code people! 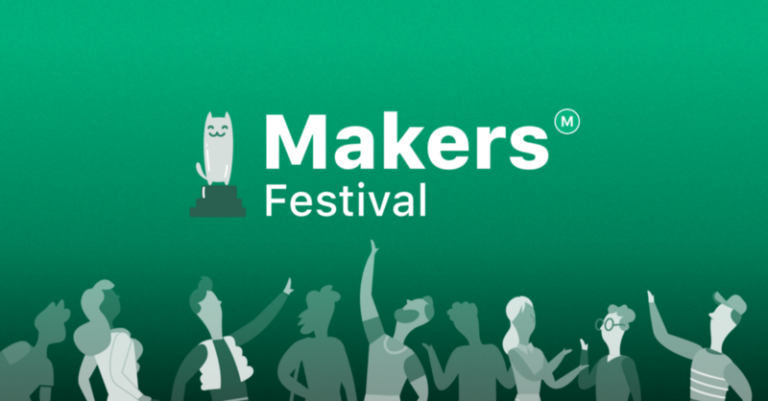 As Product Hunt announced another Maker Festival with no code or low code, it was surprising and motivating to try to create something. 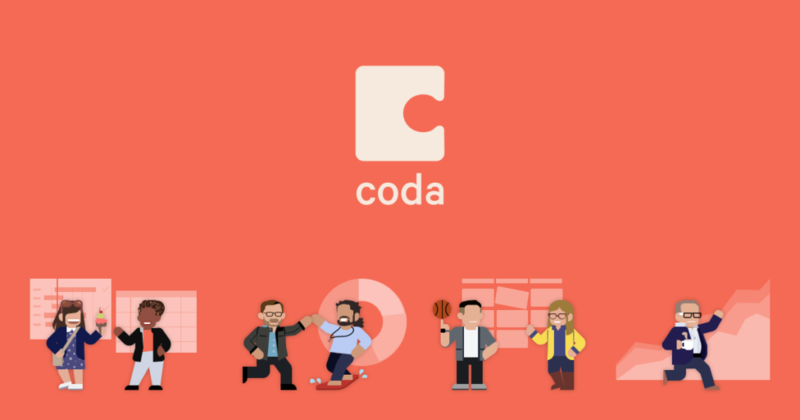 There are already cool tools for no code, then there is CODA.io. 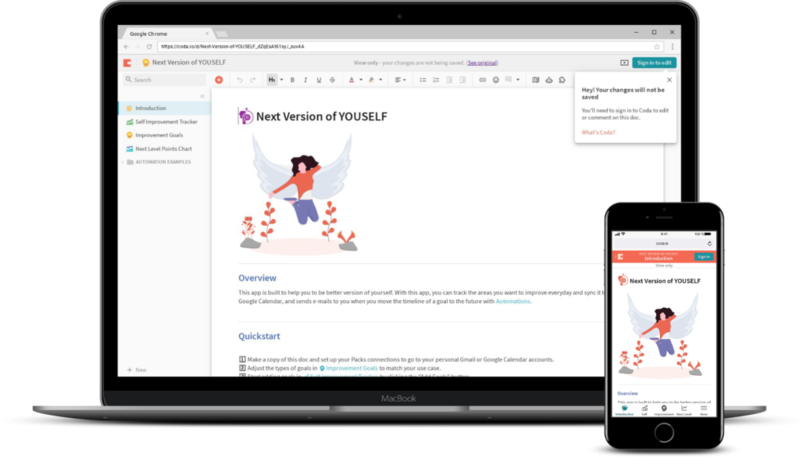 Coda is a great tool to turn your docs into customized mobile apps with no coding, LITERALLY NO CODING! I would say, the database is like apps, but it is accessible like a doc or excel. Using predefines and simple functions, you can make almost whatever you want. The interface is super simple to use and quite fun to create stuff that you could never do without code before! I decided to make my first app on the day I discovered Coda and probably within few seconds, I got the ideas of a “version upgrade/control system of human being, that will keep improving every day and be a better person“. Just like any software or tools that we keep working on to fix bugs and adding new features and releasing the new version. We are all busy, doing something very important(! ), working hard to have a better career, reach our next goal, make more money, be more popular and all! But do we spend time for self-growth? The self that needs to be taken care of, the self that also needs to be improved? Are we taking care of our cores? Are we trying to grow our inner self? 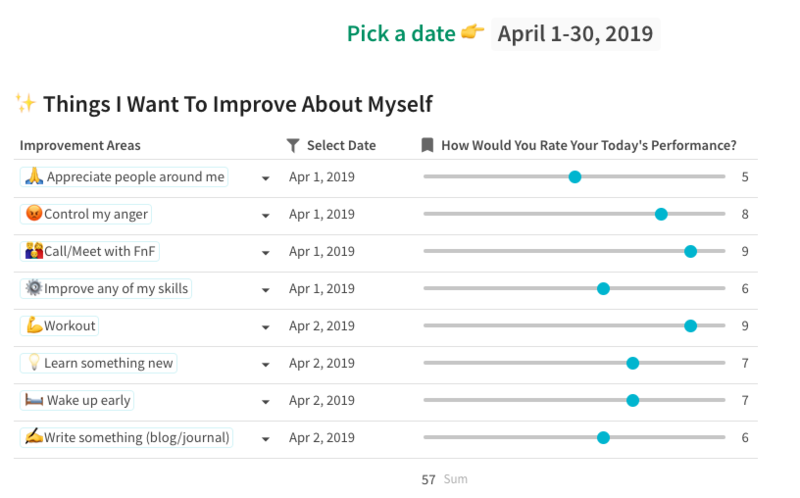 So I built “The next version of yourself” – is a simple Coda app where you can add the areas of yourself that you want to improve and track your daily efforts to be the next better version of yourself. Every day you can add mark the things you have done from the goal you selected and then you will get to evaluate your performance using points. For example, you want to control your anger and appreciate people around. At the end of the day, if you have done that perfectly you will rank your performance 10 out of 10. For every improvement goals you reach, you will keep giving yourself scores which will be combining at the end. Based on your scores, you will reach the next level. Once you collected 100 points from the last 7 days, for example, you will reach to the Level 1 next better version of you. To reach level 5, you will need to do a lot of improvements worth 50,000 points! As no code app, this is not super fancy, rather I try to build pretty functional one. From Maker festival, you can check “The Next Version of Yourself” in ‘Health & Wellness’ category. I know there are a lot more to add, but I would really appreciate if you have any feedback. If you like the concept, show some support with upvoted at Product Hunt.